Sanju Box Office: Ranbir Kapoor in and as Sanju has been creating hysteria all around the globe. The movie has shattered some major box office records at home, the latest one being it has surpassed the lifetime collections of Tiger Shroff starrer Baaghi 2 in just 5 days. It’s been a dream run for the film as Salman Khan’s Race 3 is the next target. Sanju has collected a huge 22.10 crores on its 1st Tuesday which is not at all an easy total to put up on the board on a non-holiday. But its the word of mouth, the content that has been working in the favour of the film. The magic of Rajkumar Hirani & hard work of Ranbir Kapoor has paid off very well. Sanju now stands at the grand total of 167.51 crores. It has crossed the lifetime collections of Tiger Shroff’s Baaghi 2 which earned in the range of 165 crores earlier this year. That movie turned to be unexpectedly huge but Sanju had everything going its way. Yes, Sanju could’ve fallen badly had it been directed by someone else than Rajkumar Hirani. Sanju: Firing Of 1983, The Thackeray Connection & More- The Things We Missed In The Film! According to the last week’s update, Race 3 has earned approximately 169 crores at the box office. Sanju will easily cross this Salman Khan starrer in coming days. Sanju is predicted to enter the 200 crore club by the end of this week which will see some major changes happening in the Koimoi Power Index. Padmaavat, at 300+ crores, is a tough opponent to beat but going by the trends we know Sanju could surprise us big time. Directed by Rajkumar Hirani, the film also stars Vicky Kaushal, Manisha Koirala, Paresh Rawal, Anushka Sharma and Sonam Kapoor in the pivotal roles. The movie has no competition in coming weeks and has much time to juice all up. 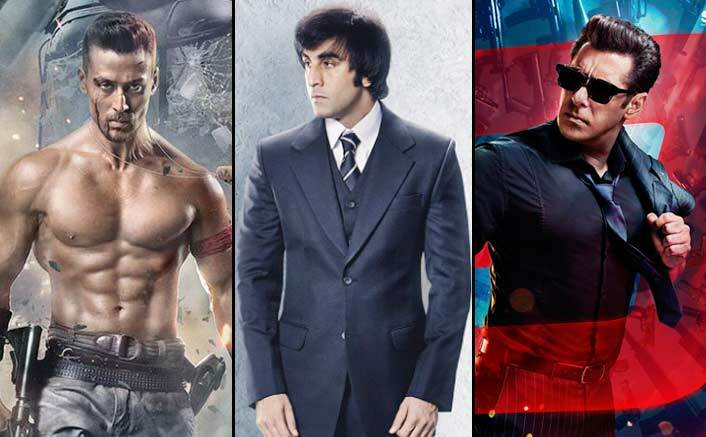 The post Sanju Box Office: In Just 5 Days – Beats Baaghi 2, Set To Surpass Race 3! appeared first on Koimoi.